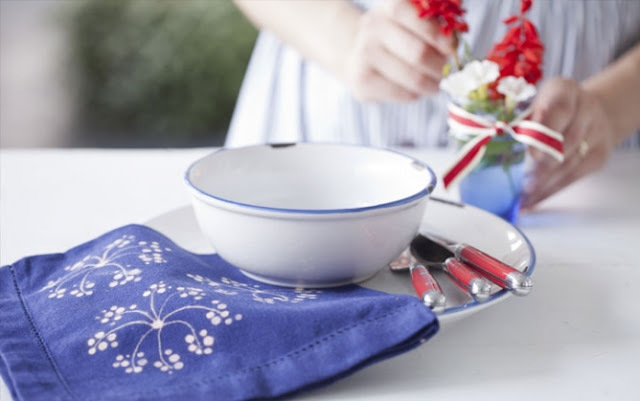 - Above : super easy, super cute 4th of July napkin DIY by Paula Deen. - Handy natural fabric dyes chart. - And another handy chart for replacing not-so-healthy things with yogurt (via Ashley Goodwin Woods). - Please oh please get in my closet. And you too. - DIY mesh beach bag. - Pretty pretty braided hairstyle. Great links! Love the braided hair style! Thanks for including my Perfect Nail Polish Tip in your Link Love! So glad to be part of it!